This bundled set of select Bible study material by Edgar Johnson Goodspeed contains excellent and detailed introductory material on individual New Testament books (particularly the epistles) and on the New Testament itself as an historical, credible document. 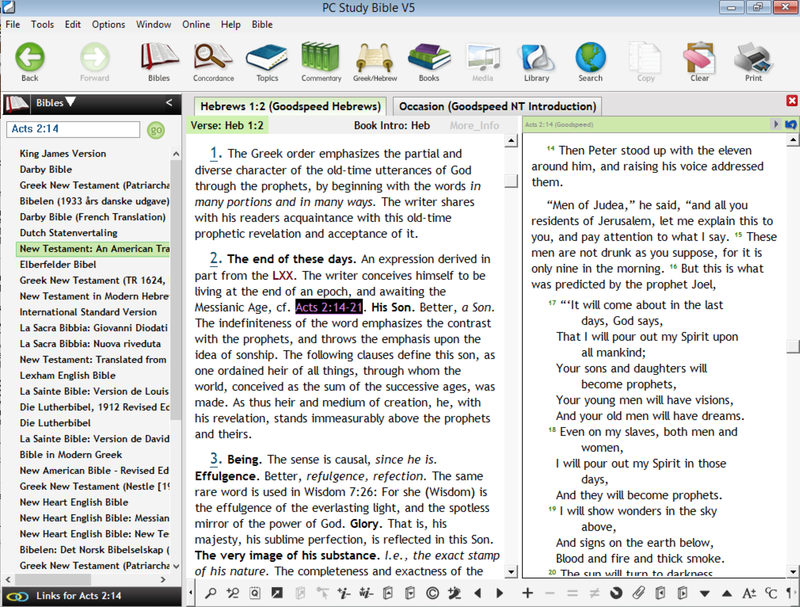 In addition it gives valuable manuscript background commentary to the Greek scholar. 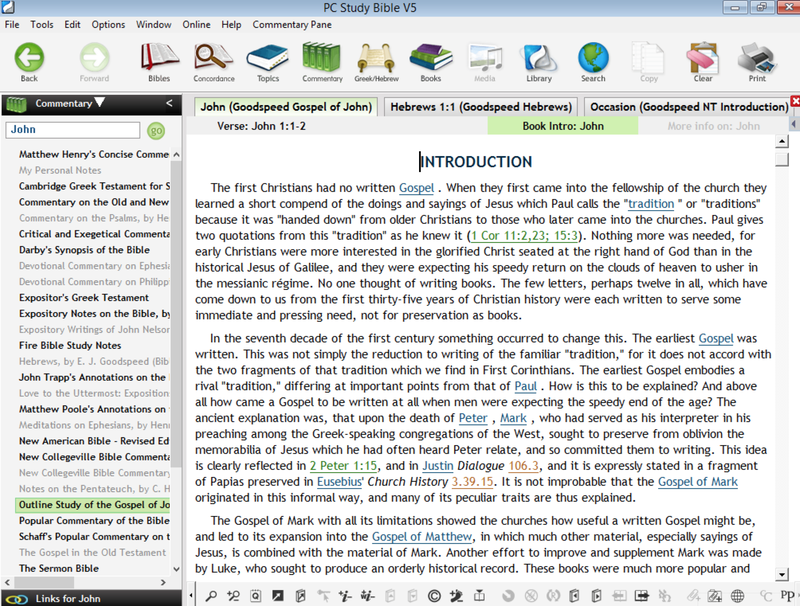 We are also including two excellent exegetical studies by Goodspeed, one on Hebrews and one on the Gospel of John. These are also rich in introductory and background material, but include verse-by-verse commentary as well. 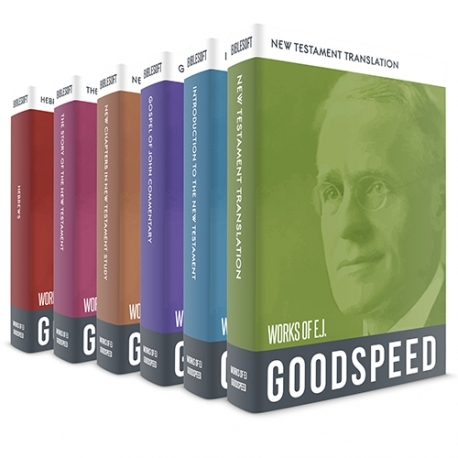 To round it out, we have included a copy of Goodspeed’s hard-to-find translation of the New Testament, one of the earliest “modern language” translations in the 20th century with a broad range of acceptance. Edgar Johnson Goodspeed (1871–1962) was a Bible scholar, New Testament researcher and teacher at the University of Chicago. His excellent work with Greek manuscripts and translation provided a foundation for much of that university’s acclaimed theological emphasis in the early 1900’s. His attention to detail and copious notes on every facet of background information for New Testament research is remarkable and shows up in even his basic Bible study works. Goodspeed takes a remarkable course contrary to much of the scholarship even of his day – that of seeing the great amount of research available as a stepping stone to understanding what was going on with each of the New Testament books. He challenges the growing trend of his time to see the New Testament documents as a battleground for various theories and critical deconstructions. This marks his work as a valuable alternative to that of many of his peers and other higher criticism scholars of the 20’th century. New Testament Introduction has suffered from a general tendency toward atomistic treatment… The fault of this procedure obviously is that the investigator falls into the attitude of supposing that, if the one particular objection or difficulty under immediate scrutiny can be disposed of, the desired position is established… In such a situation it is time to recognize that these objections can no longer be viewed as difficulties; they should rather be regarded as clues to the true solution of the problem. In fact, a host of considerations that have usually been regarded by learning as difficulties to be zealously and ingeniously whittled away, one by one, are really nothing less than invaluable clues to the very solutions the achievement of which is the historical student's sole concern. 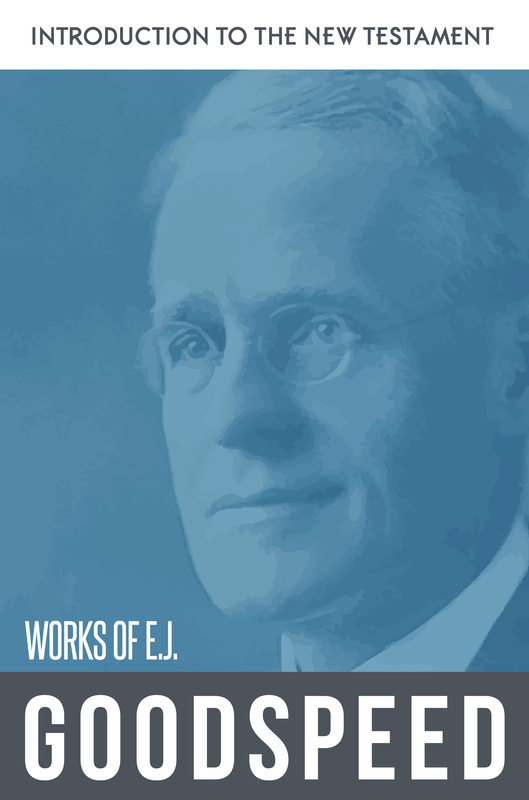 (E.J. Goodspeed, Introduction to the New Testament, preface). 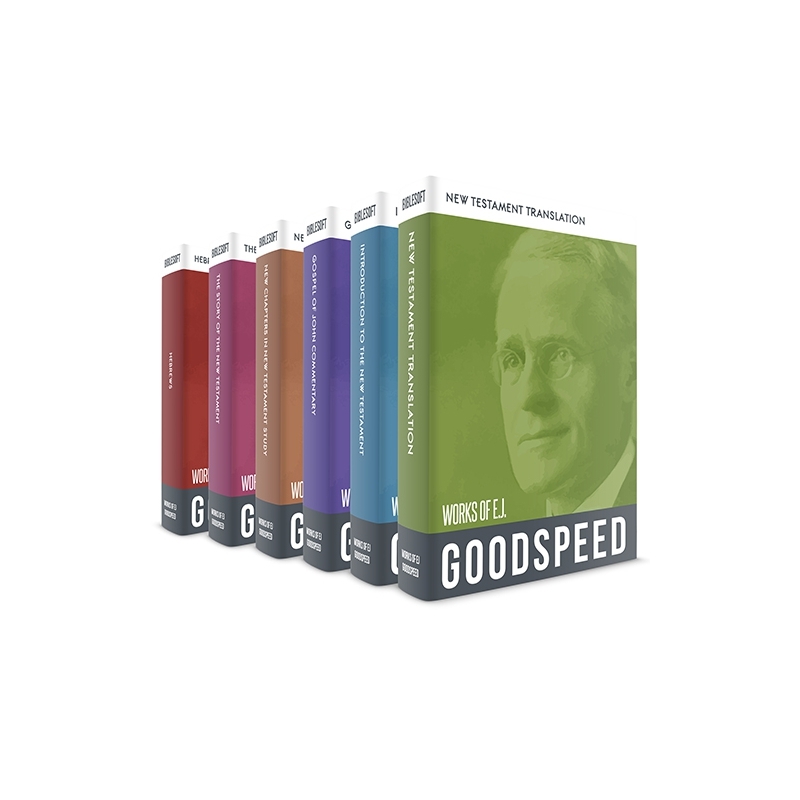 You will be enriched by Goodspeed’s wealth of background material, his insightful translation and commentary on manuscript background and his refreshing positive attitude towards the veracity of Biblical documents. One of the earliest “Modern English” translations during the 20th century, it introduced to many readers a more vernacular New Testament translation (before it became a trend) produced by a very credible translator and Greek scholar. 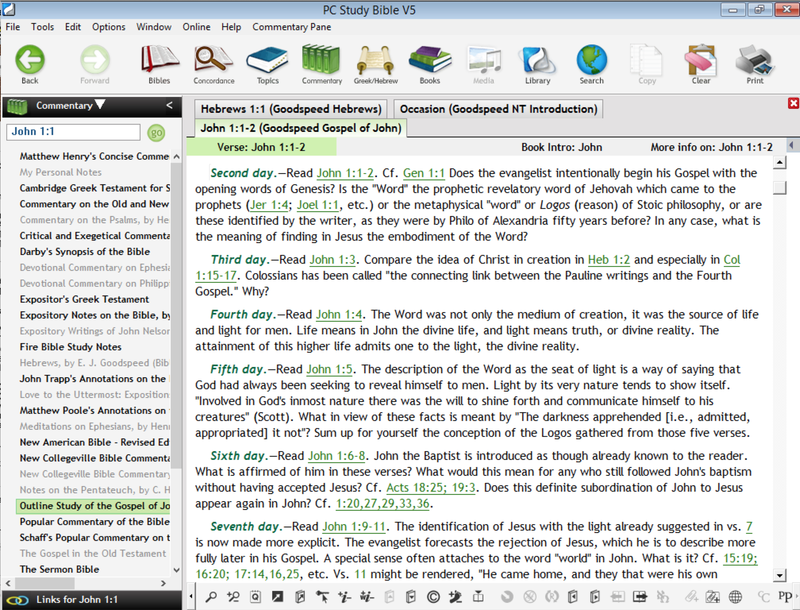 Now hard to find and expensive to obtain in print, Biblesoft brings you this valuable resource with all of our extra tools for comparison, search, topical study and note-taking. Probably Goodspeed's most familiar work (besides his Translation), and touches on many critical issues. 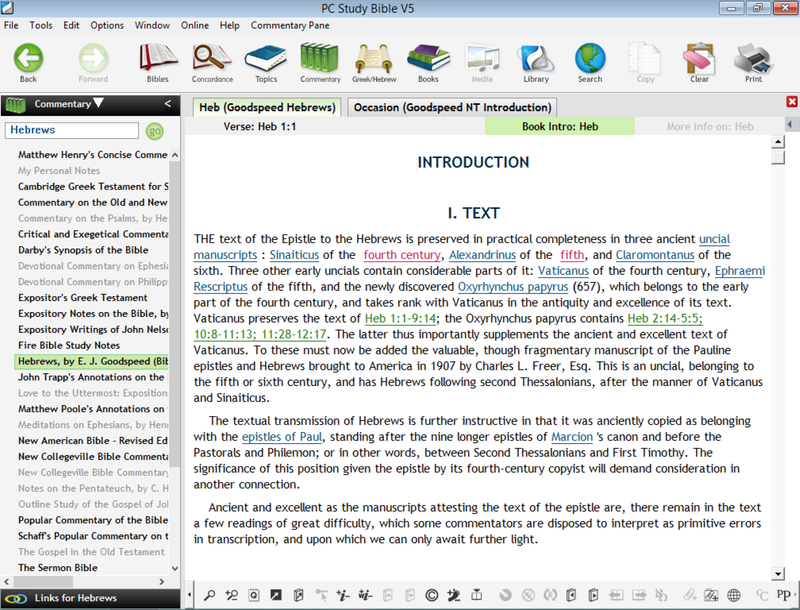 A typical Goodspeed treatment of the basic introduction to the New Testament as a collection of “published” documents. His emphasis is on the intent of the early church and New Testament writers to produce the gospels and letters from the beginning as something to be published and distributed. The science of New Testament Introduction has paid too little attention to the part played by publication in ancient life and in the development of the New Testament literature. We must not forget that there was really just as much difference in antiquity as there is now between a letter written and a letter published. (E. J. Goodspeed, Preface vii). An excellent global overview of the New Testament with copious background material. “…it is hoped that a brief constructive presentation of the background of each book without technicality or elaboration may bring back particularly to intelligent laymen and young people the individuality and vital interest of the writings of the New testament.” (introduction page ix). 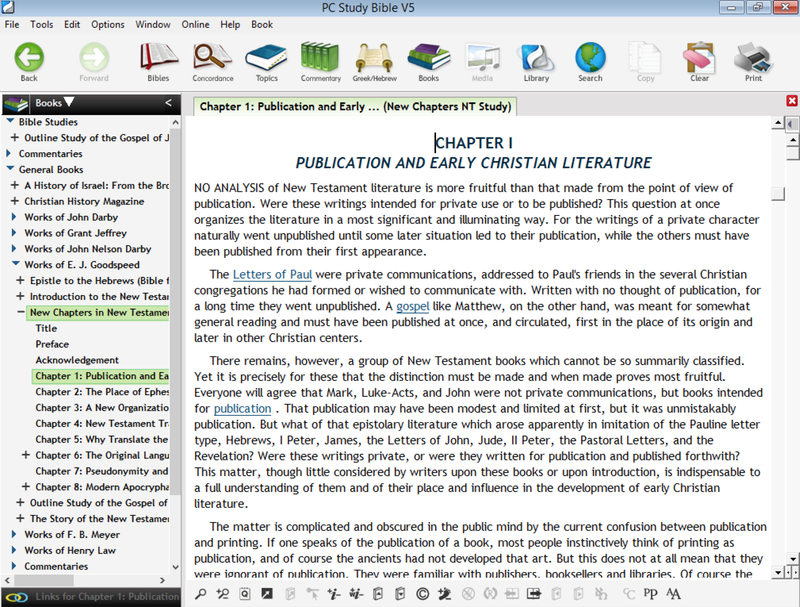 Includes study questions at the end of each chapter, in a bible study format. The first half of the 20th century was an exciting time for NT Studies and Criticism, with the discovery and publication of many new manuscripts and critical editions, as well as producing further studies in the wake of the pioneering late-19th century work of scholars such as Harnack, Lightfoot, Westcott & Hort, et al. Here many of the most important critical issues and theories are addressed - a kind of snapshot of early 20th century New Testament studies. Goodspeed’s own take on the general publication framework of the New Testament. For example, he examines the question of whether many of the letters of Paul were intended for “publication” (copying), or for private reading only. He also examines the early church fathers and their reception of various New Testament documents as well as giving generous background information on the recipients of the letters. Several chapters on other writings of the period, such as the Pseudepigraphy and “Modern Apocrypha” round out the book. In this brief but intense study of the Gospel of John and its background, Goodspeed introduces how he believes the book came into being and its place in the canon. 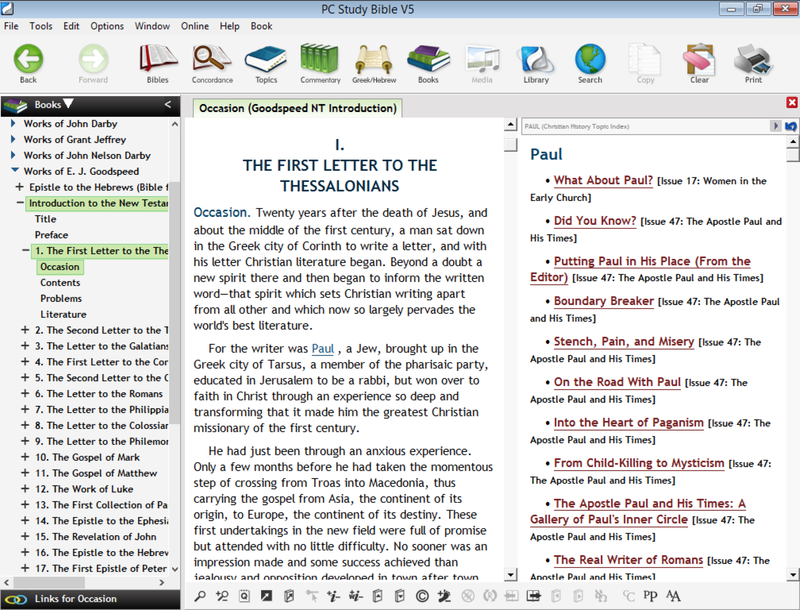 Good for both the scholar and the layman, each section of the epistles is divided into daily thoughts and questions for the serious student. 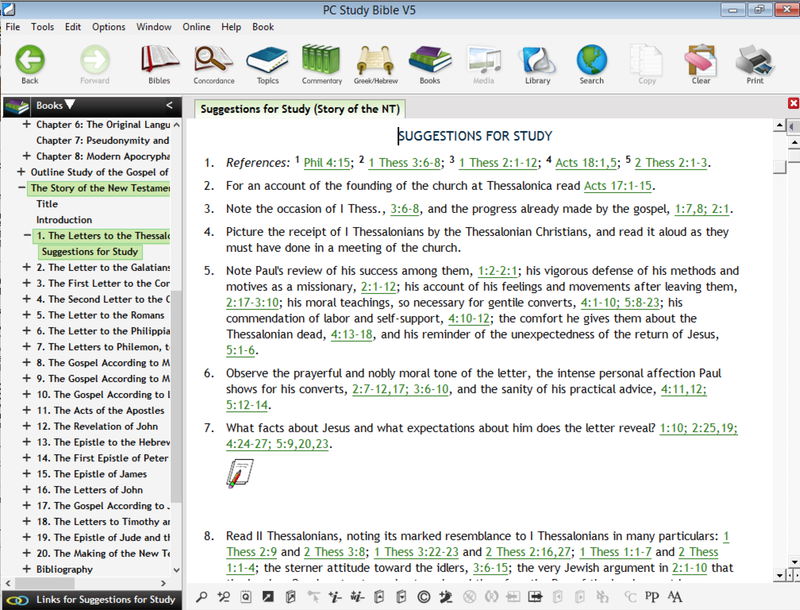 This is an excellent resource to give the Bible teacher ideas for study outlines and thought questions. Organized as a 5-month study, with a reading, thoughts and questions for each day, along with study questions at the end of each 'month'. In typical Goodspeed fashion, the author focuses not only on the literary and early distribution history of the epistle to the Hebrews, but gives intensive exegetical commentary on the text, with a good critical introduction. He also gives strong case evidence from many sources for Pauline authorship of the epistle.